Ten years ago, a motion picture starring Tom Hanks and Julia Roberts would have been blockbuster material. 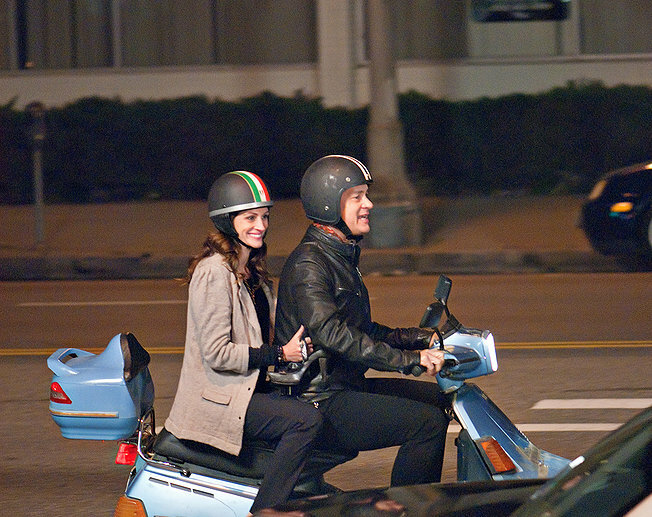 Today, Larry Crowne plays weekend second-fiddle to a mindless movie about shape-shifting robots. The irony of the film’s title is that by the end of this sanitized rom-com, we actual know surprisingly little about Larry (Hanks), an average, suddenly jobless Joe who enrolls at the local community college to rebuild his resume for the 21st century. We learn that Larry is divorced and buried under a mountain of alimony and mortgage debt, but we’re left clueless as to how or why this milquetoast got to this point. Instead, we watch as Larry’s free-spirited classmate Talia (Gugu Mbatha-Raw) invites him to join her scooter gang, updates his wardrobe and goes feng shui on his living room. And, Larry gets sweet on Mrs. Mercedes Tainot (Roberts), his speech teacher caught in her own unhappy marriage. Individually, Hanks and Roberts are as charming and reliable as ever, our post-modern editions of Hollywood icons. In particular, Hanks wrings quiet, heart-breaking emotion out of the scene in which Larry gets canned from his lowly but loved job with a big box store named U-Mart. Together, they lack credible romantic chemistry. As the storyline starts to inevitably peter out, it leans almost exclusively on Hanks’ aw-shucks routine and Roberts’ trademark toothy grin. Hanks directs his first feature since 1996’s That Thing You Do! and tries to shoehorn in contemporary phenomena like corporate downsizing, higher gas prices and “strategic mortgage defaults.” However, this is also a script by Nia Vardalos of My Big Fat Greek Wedding fame, meaning it’s as sappy as a tapped Vermont maple.